I stumbled upon this obit and although not mine, it had such great info that I had to share. 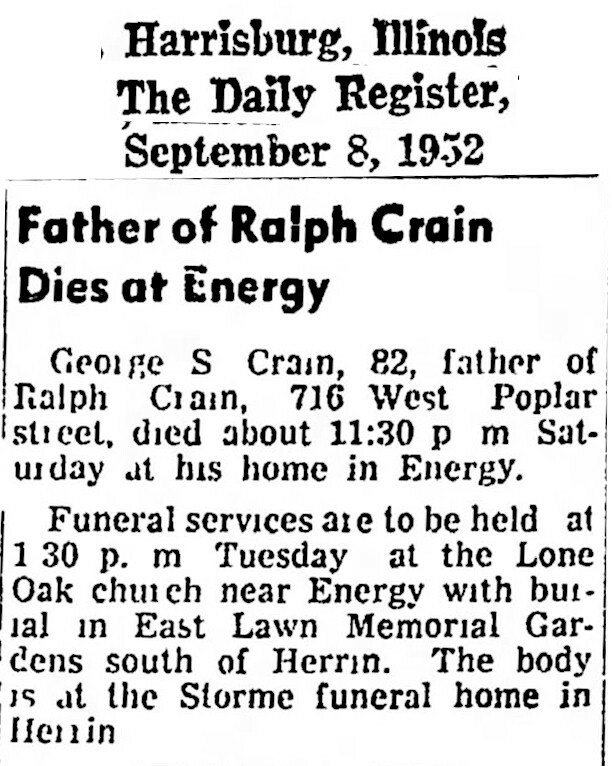 George S. Crain, 82, father of Ralph Crain, 716 West Poplar street, died about 11:30 pm. Saturday at his home in Energy. Funeral services are to be held at 1:30 p.m. Tuesday at the Lone Oak church near Energy with burial in East Lawn memorial Gardens south of Herrin. The body is at the Storme funeral home in Herrin. George Crain, 46, Gorham, died Saturday in Doctors Hospital in Carbondale. He has been ill for several years. He was born in Gorham on Jan. 21, 1912, the son of Mr. and Mrs. Clain Crain. 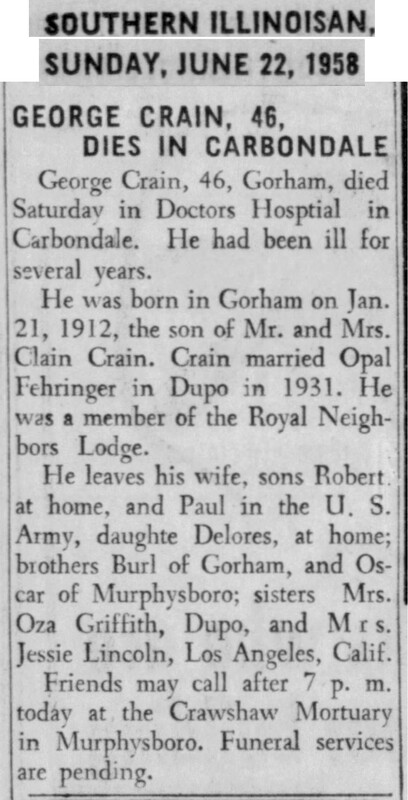 Crain married Opal Fehringer in Dupo in 1931. He was a member of the Royal Neighbors Lodge. He leave his wife, sons Robert, at home, and Paul, in the U.S. Army, a daughter Delores, at home; brothers Burl of Gorham, and Oscar of Murphysboro; sisters Mrs. Oza Griffith, Dupo, and Mrs. Jessie Lincoln, Los Angeles, Calif.
Friends may call after 7 p.m. today at the Crawshaw Mortuary in Murphysboro. Funeral services are pending. 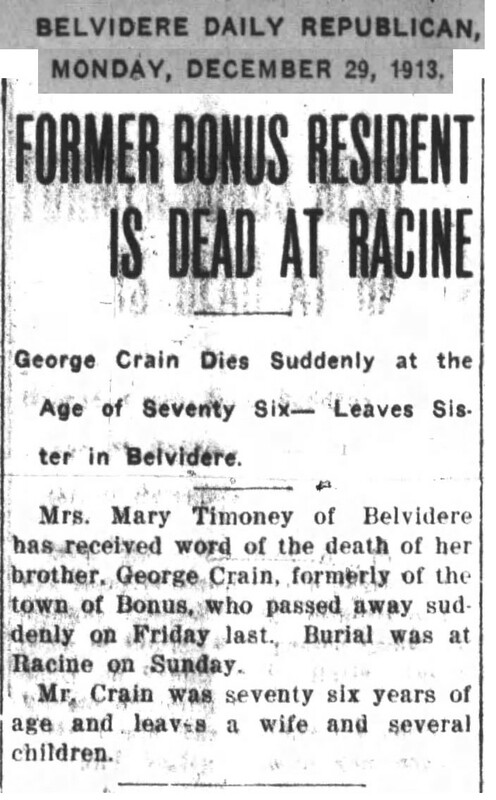 Mrs. Mary Timoney of Belvidere has received word of the death of her brother, George Crain, formerly of the town of Bonus, who passed away suddenly on Friday last. Burial was at Racine on Sunday. 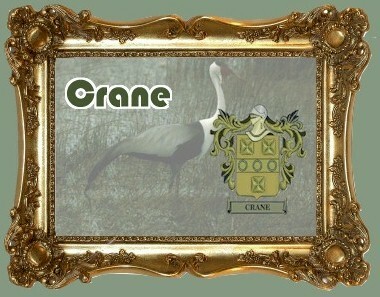 Mr. Crain was seventy six years of age and leaves a wife and several children.